I found The Cal Alumni Club of New York for UC Berkeley alumni which promotes events and the group even opens the events to the public. 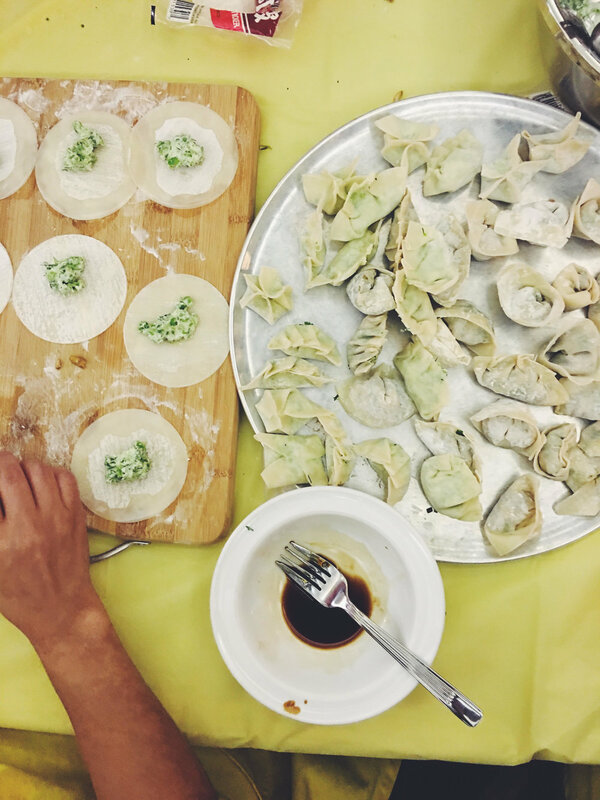 This weekend the group would learn how to make dumplings. I really enjoyed meeting everyone that I was able to speak with, they were all so kind and welcoming. On top of that, I was able to learn some knife skills and dumpling folding techniques. I did bring my camera, but with the messiness of our hands, I just quickly snapped a few shots with my phone. The next class I take, I will have to be more comfortable lugging out my camera. I would say this has been a great way to meet new people and have fun at the same time. I will definitely go to more events like this in the future. We learned that the dough making process can take about 2 hours to make and it is a very tedious process. This is why we used pre-made dough which really saved time. 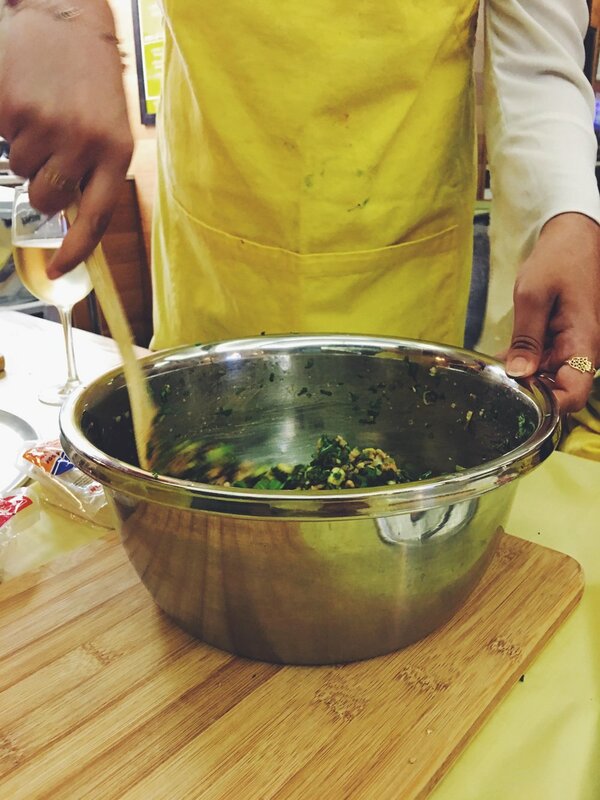 Next we learned some knife skills on cilantro and scallions, which I will definitely put into use in my own cooking. We made a vegetarian and meat filled dumpling which were both none traditional. The vegetarian dumpling consisted of smashed peas, cream cheese, minced dill and cilantro. 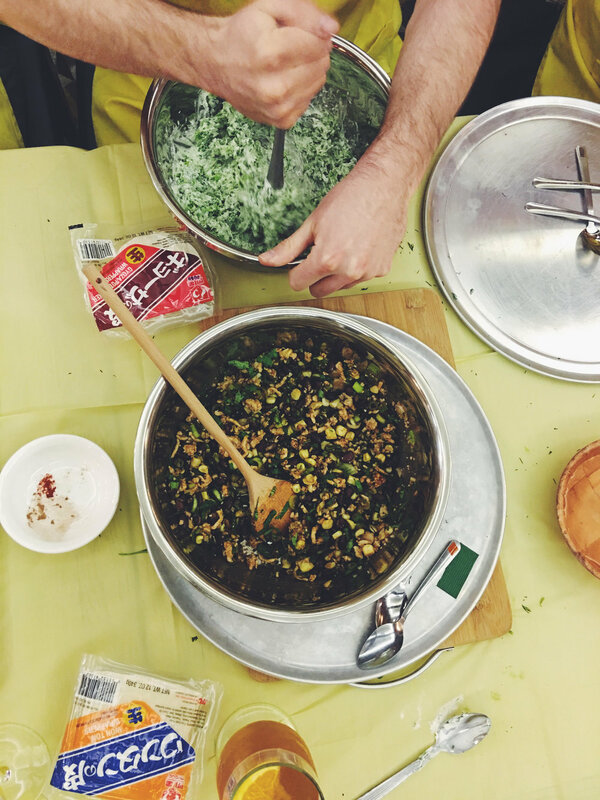 The meat dumpling was made of pre-cooked chicken, corn, cilantro, scallions and seasoning. I enjoyed eating both, but I think the vegetarian dumpling was a favorite of everyone. The folding techniques were a little complicated to learn at first, but we all quickly got the hang of it. The process was rather peaceful and I can imagine this being a relaxing task if I were to make it for dinner. I can't wait to learn more about food and meet new people in the future. Comment below! What was something new that you tried this weekend?